I heard the angry scream of an eagle behind me. Turning around I missed the shot of a two or 3 year old eagle speeding through the trees. What I did get was this 4 year old eagle. Mad, angry, and in pursuit of the immature eagle that had preceded it past my line of sight. I have no idea of why the chase but it sure set my heart racing. 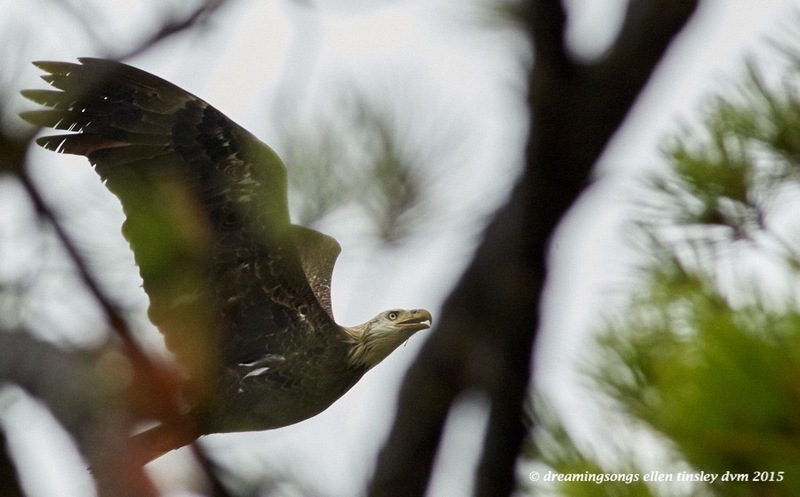 Posted in birds, Eagles of Jordan Lake, Jordan Lake, photography, raptors, wild birds and tagged as American bald eagle, bald eagle, bald eagles of Jordan Lake, eagles of Jordan Lake, immature bald eagle, Jordan Lake.